A stunning .97 carat, H color, Vs1 clarity, round cut diamond is set into the face of this 14K bi-color gold engagement ring. 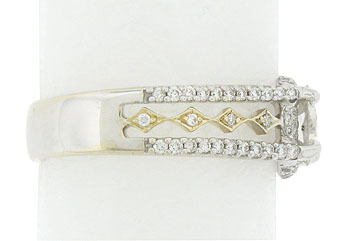 The spectacular mounting features strings of yellow gold diamond shaped figures that stretch between the rings band. 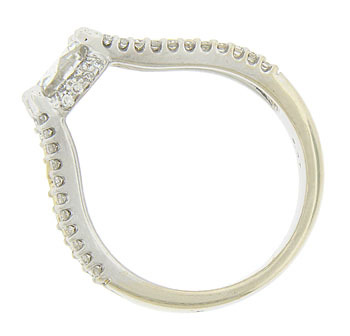 The open cutwork is set with fine faceted diamonds that gives the ring a delicate lacy appearance. 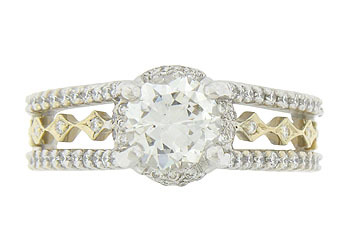 The edges of the band are set with additional sparkling diamonds. 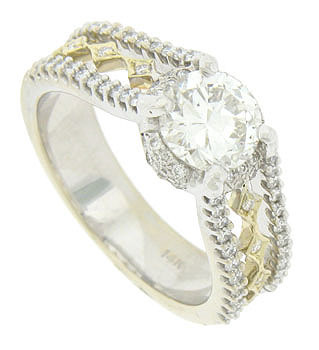 The antique style ring measures 8.06 mm in width. Size 6. We can re-size slightly.